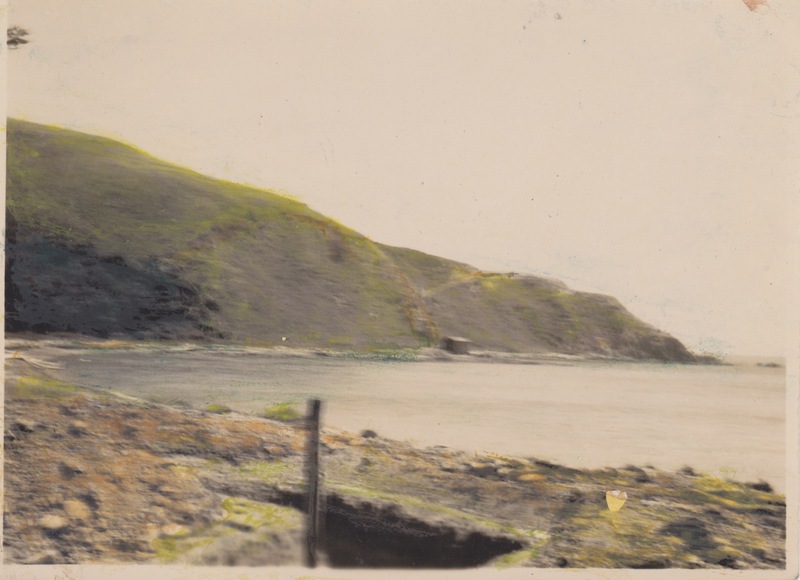 Possible trench at Te Ika-a Maru Bay, 1942. Unfortunately someone has attempted to colour this photograph. They weren’t very good. I’m sharing this anyway in case anyone wants to go looking for the trench. Lemuel Lyes Collection.